Male and female grey seal pups behave differently, with the females preferring to dive in shallow waters, according to a new study. 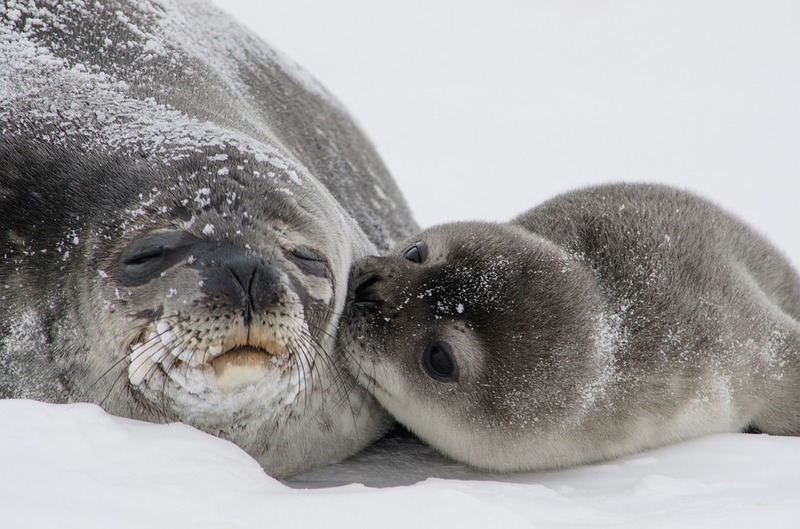 Young seal pup with mother. Grey seal pups are a pretty independent lot, considering that they are supposed to survive on their own after they reach three weeks old. At this stage of their lives, many would not have even ventured into the sea, let alone hunted for their food. Little is known about the behaviour of these pups, That is, until a team of academics from University of Plymouth, the Sea Mammal Research Unit at the University of St Andrew and Abertay University tagged and observed 52 recently weaned pups from colonies in Scotland and Wales. The findings from their research was published in the Scientific Reports journal. Not surprisingly, the pups undergo a rapid rate of behavioural development in their first forty days of leaving the colony, learning how to hunt and fend for themselves. - Male and female pups behave differently. Female pups from the Welsh colonies tend to dive in shallower waters than male pups. They reach the seabed more often and so have more opportunities to find food. - Pups from Scotland may travel across the North Sea (as far as Norway). Some individual pups from West Wales have even been to the northern coast of France. The insights derived from the research may be critical in the development of future protection of the grey seal's key habitats at the time of their lives when they are the most vulnerable. Dr Clare Embling, a lecturer in Marine Ecology, added, "This initial stage is when the pups are at their most vulnerable and juvenile survival is important to sustain stable populations. Seals are facing increasing threats, such as fisheries by catch and increasing noise from shipping and construction activities, which we are continuing to explore as part of our wider research."